The CANM8-IDR15 is fast becoming the preferred vehicle/equipment interface amongst many specialist vehicle builders. 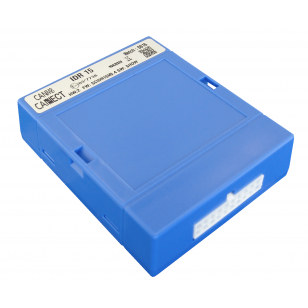 The interface requires only four connections to the host vehicle and provides up to 15 specialist trigger outputs, including speed and RPM signals where required. For most common vehicle models, the customer can pre specify the required triggers and specialist software can be engineered to meet the customers requirements. The interface features vehicle identification technology, enabling a number of different vehicle types to be contained within the same software issue. All outputs are rated at 1A and are overload protected. The interface features a compact design, measuring only 89 x 67 x 33 mm and comes complete with a loose wire connection loom. PLEASE CONTACT US FOR A QUOTE FOR YOUR SPECICIFICATION OF THIS UNIT. This product is custom designed to meet the requirements of the customer. Please contact us directly so that we can provide you with the required outputs and for which vehicle it will be installed to. September 2014 saw the launch of our brand new CANNECT Range. 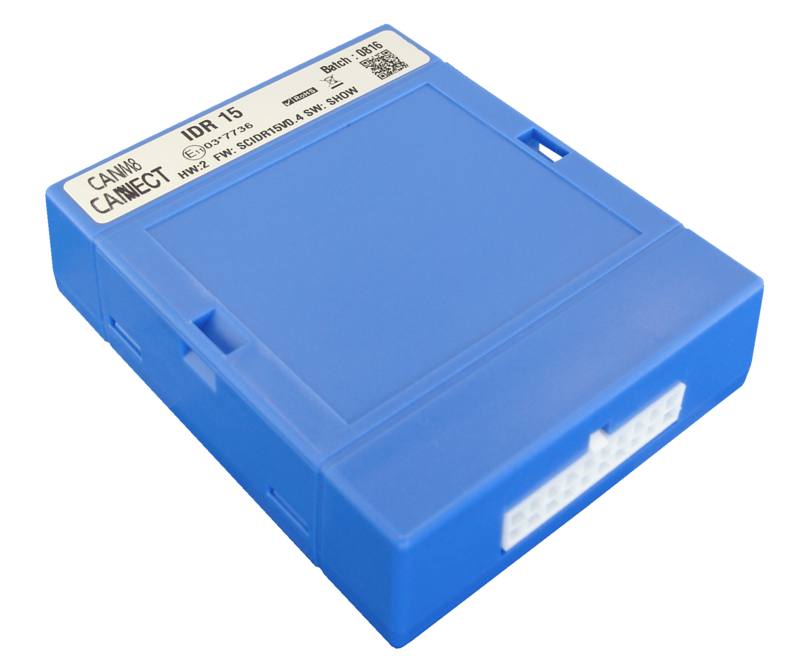 The CANM8 CANNECT interfaces are the latest development to our range of CAN Bus products. These products feature some unique advantages over general CAN Bus interfaces. The most important feature of the Cannect range is that they are update-able. The CANNECT product firmware is under continual revision to keep pace with the latest vehicle applications.The CANNECT update service is available to our trade and account customers and requires the purchasing of our CANNECT-RUI Interface to access the latest software file downloads. Please enquire if you are interested in our CANNECT-RUI service and we will aim to assist you.